In 2003, after successfully opening 13 high street outlets, CARiNG entered a new era by establishing the first mall outlet in the 1 Utama Shopping Complex. From there, the number of mall outlets has since flourished to more than 10 outlets in 2011. The establishment signals CARiNG Pharmacy’s entry into the modern trend of providing more varieties of skin care and personal care. The new concept store with vibrant design, organised merchandising and directed displays was also pioneered at the Bangsar Village outlet in 2005. In 2008, CARiNG@Tesco was established in Tesco Mutiara Damansara, Petaling Jaya. We have now 5 CARiNG@Tesco outlets as of 2010. Being the first pharmacy within a hypermarket in Malaysia, CARiNG@Tesco continues the spirit of CARiNG Pharmacy by providing full time pharmacist service, professional counseling and health check. With the increasing number of outlets, the first support office was established in Sea Park, Petaling Jaya in 1998. From there, we have established a fully functional system in our new head office in Old Klang Road. With more than 100 supporting staff from Information Systems, Human Resources, Finance, Operations, Marketing, Purchasing and Supply Chain departments, we take pride in making sure the business runs smoothly and efficiently for CARiNG Pharmacy. Launched in 2002, the first customer loyalty program-CARiNG Regular Card, now has 80,000 members and continues to grow. Being a Regular Card member, they can enjoy benefits like exclusive promotions, health talk invitations and medical history recording. 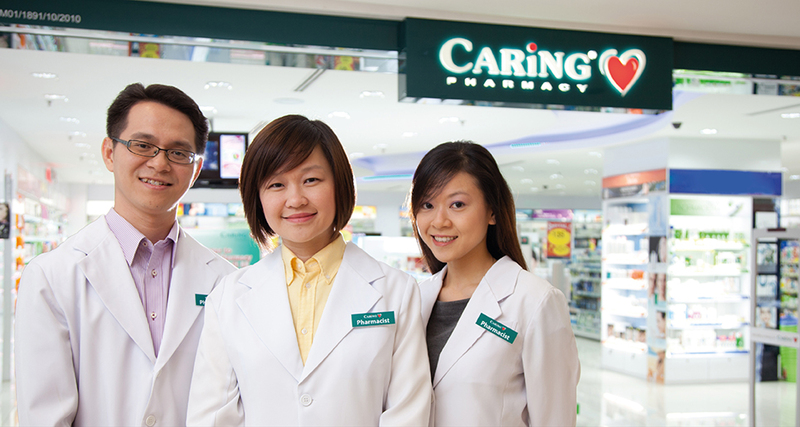 In 2006, CARiNG Pharmacy began a partnership with BonusLink, Malaysia’s premier multi-partner consumer rewards program to enhance our benefits program.­ Our­ customers can now enjoy the benefit of Bonuslink points while shopping with us.